A beautifully written and illustrated children's book on the 19th century. 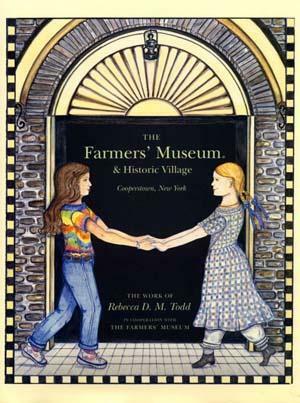 The author utilizes The Farmers' Museum Historic Village as a backdrop to provide a unique experience, inviting young readers to step back in time and gain an appreciation for life in New York State in the 1800's. A treasured keepsake for young and young at heart visitors, and a valuable educational tool for the New York State fourth grade curriculum.